ANYBODY can train hard. There’s nothing magical about that. It’s all about training SMARTER. You don’t get stronger during exercise. You get stronger during rest and recovery. Nonstop exercise only makes you weaker. After you do 3 sets of pull ups, are you able to do the same number of quality reps in a fourth set? No. You’re obviously going to be weaker. You just broke down your muscles. And they will get stronger only after recovery. If you’re doing bodyweight exercises or hitting up the rings everyday (or even every other day), you’re going to burn out eventually. Please give yourself a break. If you’re young, you may feel invincible, but you’re not. You should think, “What would it take for me to be able to swing on these rings when I’m 100 years old?” It would take proper technique and rest! You are not just skin, muscles and bone. Connective tissue holds all of that together. 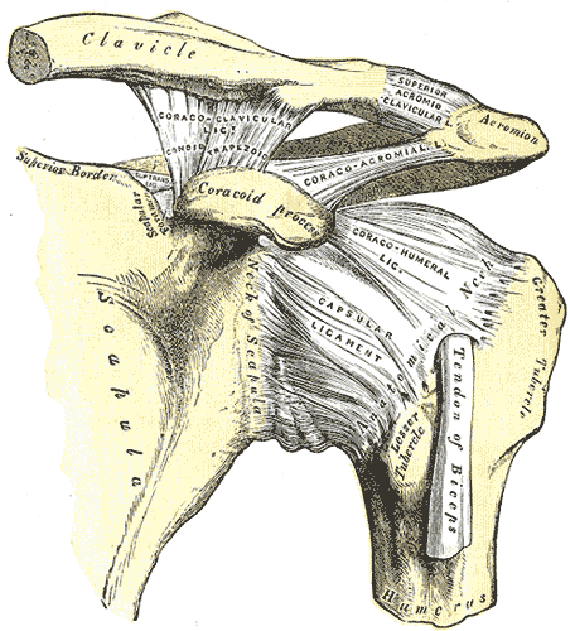 Note how complex the shoulder is. The problem with overtraining is not that you’ll ruin your muscles. Your muscles are breaking down all the time when you use them and are constantly repairing themselves. They are extremely vascularized meaning they have good blood flow and will fully repair themselves in about 2-4 days. Tendons and ligaments are a different story, though. 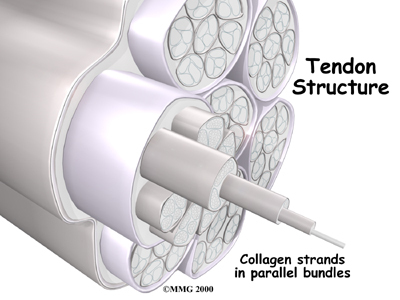 Tendons are what attach muscle to bone. Ligaments attach bone to bone. There are numerous ligaments in your shoulders and knees, for example, to help stabilize those magnificent joints. Tendons are so strong that you may be able to go on for weeks or months without proper rest and have no issues cropping up, but eventually the recovery deficit will catch up to you. These tendons and ligaments are inherently very strong. They are made mostly of collagen just like your skin, nails and hair. Unfortunately, they have very poor vascularization. Blood (and therefore nutrients) can’t easily get to these structures. So connective tissue strengthens much more slowly than muscles. A muscle can hypertrophy (grow in size) very quickly (especially for men) but the tendons take a longer time to heal. Without proper recovery, the tendons are constantly playing catch-up to the stress you’re putting them through. And if you continue overusing your body, it’s one of the ways you may develop tendonitis. If you continue to ignore the pain and keep working through it, that’s how osteoarthritis develops. Osteoarthritis is very common with professional athletes because they get paid tons of money to play even if they are not fully recovered from their injury. Overuse doesn’t necessarily mean that you’re training too hard. 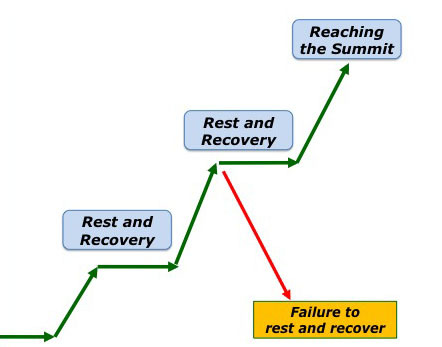 Overuse entails that there is a lack of REST and RECOVERY. While exercise can be addicting, exercising without proper R&R will eventually catch up to you. This is especially true for demanding sports like the traveling rings or calisthenics. While it may be a very beautiful, fully engaging sport, it is not a balanced sport. Your forearm muscles and shoulders can get overused fairly quickly. Also, if there is any yanking or unsmoothness in your technique, it will only accelerate the chance of an overuse-injury occurring. I have friends who used to run miles every day without proper rest days or deload weeks. Unfortunately they now have such extreme hip pain from all the cartilage that has worn away that they cannot run anymore and they are not even 30 years old. Recovery requires just as much discipline as training. And if you’re addicted to exercise like me, it requires even more! If you feel your shoulders are always sore, take a few days off. Hell, take 2 weeks off if you have to. You’ll come back at the rings with more power than ever (unless, of course, you went rock climbing the day before, haha). Being healthy is not just about breaking your body down through exercise. You need rest. And if you’re young, you may feel invincible, but you’re not. Increase your self-awareness and heed the warning signals your body is telling you. 2. You need caffeine to get fired up for your training sessions. 3. You crave carbohydrates (sugar!) more than you used to. 4. You’re getting sick a lot, or just can’t seem to kick that cold you picked up. 5. You’re training hard and “eating right” but that little belly just isn’t going away. 6. You’re actually gaining fat, instead of losing it. 7. You’re feeling down about your subpar performance or lack of progress. No actually, you’ll rest when you’re injured. Pain is the body’s way of telling you to STOP doing that! For every 3-4 weeks, you must have a Deload Week. A deload WEEK? You mean rest days aren’t enough?! 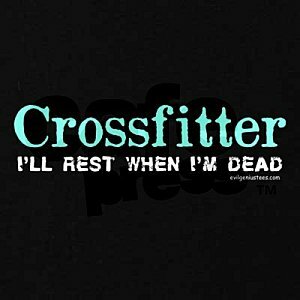 No unfortunately, rest days are not enough. Consistent training builds a deficit that cannot be balanced out by a single rest day. A deload week is a chance for your body to repair connective tissue and restore your hormonal balances. You may be a very relaxed person but the body can’t tell the difference between physiological stress and psychological stress. Besides, if muscles alone take a couple days to fully recovery and connective tissue takes even longer than that, then a deload week is very necessary. Taking a week off keeps those tendons and ligaments healthy. So what do you do during a deload week? 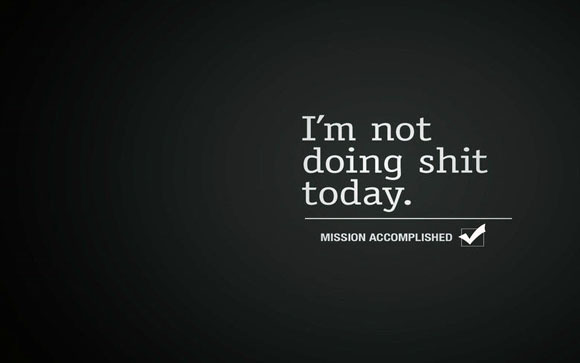 Rest during the whole week? Nah, you can workout, but do everything at a much lesser intensity than before. If you lift weights, lift lighter and focus on perfecting your form. If you do bodyweight exercises, purposely choose easier progression exercises. When it comes to cardio (running, biking, etc), go for some easy miles this week. Cross train: If you always ride a bike, go for some light swimming to work a different part of your body but again, keep it light! And as for nutrition, do not slack off on eating clean. Your body needs all the proper building blocks to repair itself, along with adequate sleep every night. 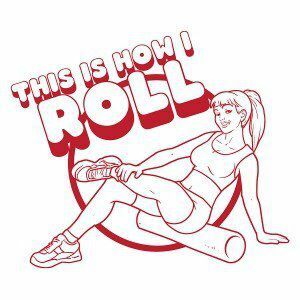 After my workouts you’ll find me all over my foam roller. 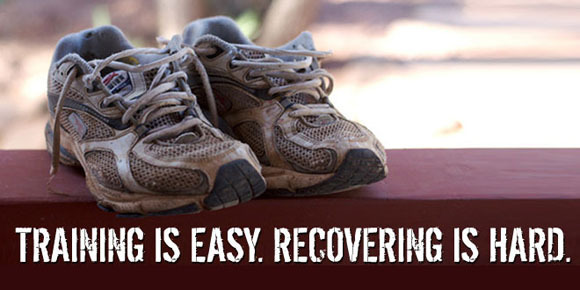 Training consistently with appropriate recovery is what leads to consistent progress. 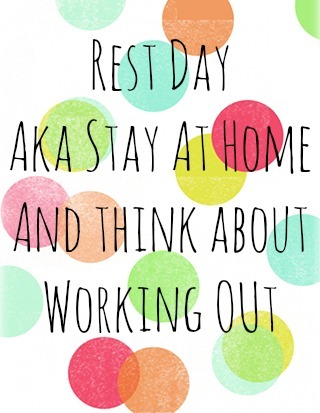 Rest days are just a small part of recovery. Genuine recovery requires a deload week every few weeks. It’s much nicer being out for a week and coming back with great gusto cause you’ve rested, rather than being out for 4-6 months while nursing an injury. Just try to think in terms of what it would take to be able to swing when you’re 100 years old. What’s the rush, anyway? You’ve got a whole lifetime to master all your desires. Respect your body. Heed its warning signals. Love yourself.